After decent success with InFocus M2 and other budget smartphone M210, M350, InFocus continues their smartphone lineup expansion as they have launched the Bingo 21 smartphone. It’s the latest smartphone by the company focused on selfie-obsessed peoples. 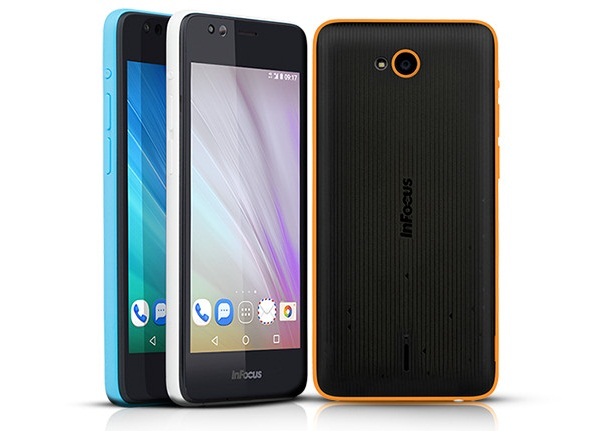 The InFocus Bingo 21 comes with 5 mega pixel front facing camera alongside with LED flash. In terms of display we have the 4.5 inch FWVGA display with quad core Spreadtrum SC9830 processor and Android 5.1 Lollipop. The InFocus Bingo 21 is priced at Rs 5499 and it’s available in Orange, White and Blue color. It will go on for sale from February 11 with registration now open on Snapdeal.